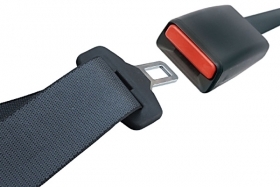 Autoliv will produce seat belts with its new joint venture in Beijing. Sweden's Autoliv Inc. has acquired Delphi's 51 percent stake in Beijing Delphi Automotive Safety Productions, a joint venture that produces seat belts. Delphi and Chinese manufacturer BHAP formed the joint venture in 2008. The venture expects to generate sales of 199 million yuan ($30 million) this year. Major customers include Dongfeng Yueda Kia Motor Co. and Beijing Hyundai Motor Co.
With its newest acquisition, Autoliv now has 10 factories in China. Earlier this year, the Swedish supplier opened a new factory and technical center near Shanghai. The 117 million yuan complex houses Autoliv's China headquarters, a crash test facility, and an expanded factory to produce seatbelts and airbags. Autoliv, the world's largest airbag producer, expects global revenue to rise nearly 35 percent to $6.9 billion in 2010. China revenues are expected to increase 50 percent to $700 million this year. Autoliv ranks No. 28 on the Automotive News Europe list of the top 100 global suppliers, with sales to automakers of about $5.12 billion in 2009.